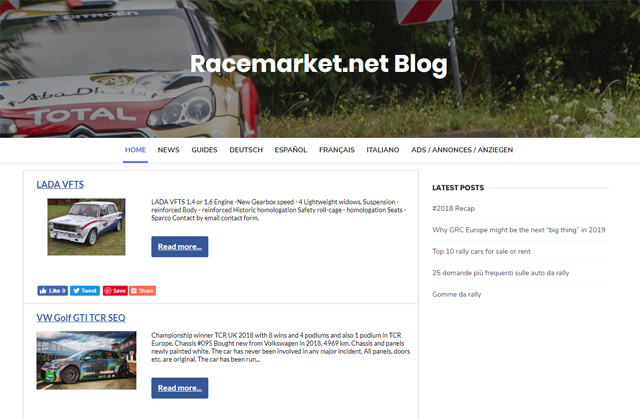 Marketplace for rally cars, rallycross, hill climb racing, drift, motocross, enduro, superbike, race cars, rally raid and karting. Available globally in 20 languages. 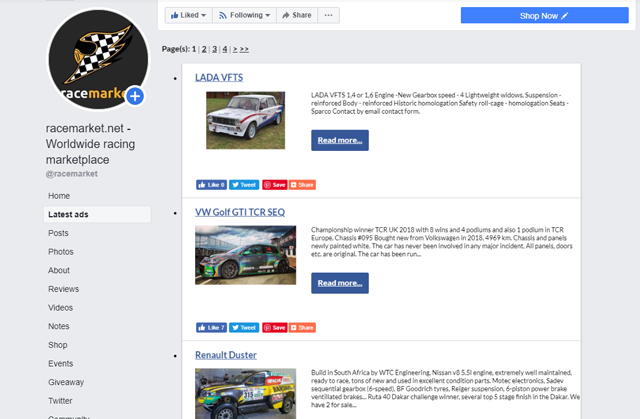 Sell your race vehicle, parts or equipment with ads. We use a simple point based system, which you can spend either for posting ads or increasing their visibility with extensions (see below). 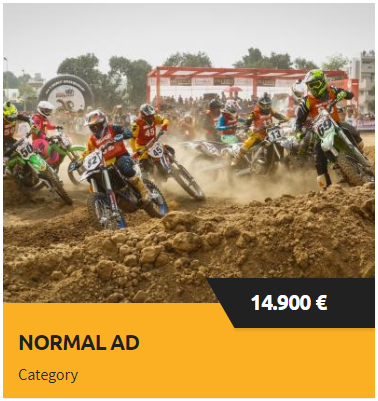 NORMAL AD: regular advert, translated by us in 20 languages and displayed on all marketplaces in their languages respectively. Does not expire until advertised item is sold (marked as sold). - Highlighted: attract more buyers with a different background color for your ad for the period of 7 days on all marketplaces. 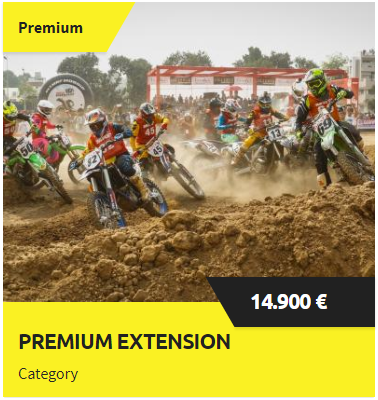 - Premium: ad gets different background color and "Premium ribbon" on top, while the main benefit is that ad is placed on top of its category, where it remains for the whole premium period of 7 days. - Move to top: option suitable for older ads, which allows you to move your ad back to the top of the page inside category and latest ads on front page (as if you posted ad today). This option becomes available in your user panel 7 days after ad was published. *Most selected option by our users. All prices stated above include VAT. Promote your company, increase your brand reach, increase your sales! Put your services and products directly in front of people who need them. From amateur racers to world-best individuals and teams in the world. 1. Targeted audience: reach out only to the people you want to hear about your company. 2. Various advertising positions: options according to your needs (selected marketplaces, categories, positions...) with option for different banners on desktop and mobile devices. 3. Press releases: a post about your company on our blog, with an option of submitting your own press releases during advertising. 4. Analytics data: clicks and impressions of your banners, always available to you at custom URL address. 5. Banner creation: our design team will make a suitable banner ad based on your ideas and graphics (if required). 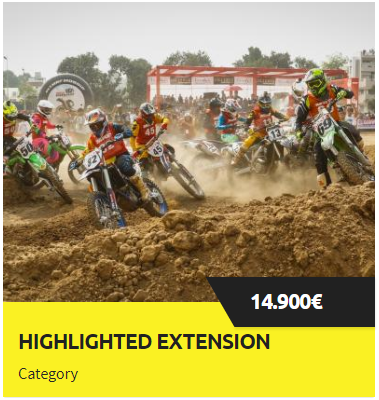 Solutions, suitable for any user with more than 5 posted ads, both extensions are fully adjusted to your company graphics and website design and easy to install, intended to save your time and increase sales. Allows you to have all of your ads displayed on a special page on your website, automatically synchronized, so once you post a new ad on our marketplace, it will be immediately displayed on your website as well. Each ad includes simple social sharing buttons, so potential buyers can share it with others on Facebook, Twitter and other social media channels. Allows you to have all of your ads displayed in a separate tab on your Facebook page, with all the features from website display. Please note that Facebook does not offer mobile tabs, so this extension will be only accessible on desktop version.